Why choose Original HP printer supplies? Why buy Original HP print cartridges? Other than the most obvious reason (because counterfeit cartridges are illegal), the list of benefits makes loyality seem obvious to your business. Outstanding Value: They deliver exceptional value and reliable performance, along with lower total cost of printing. Counterfeits drain productivity and increase printing costs with reprints and poor-quality results. Exceptional Quality: HP print cartridges enable fast, efficient printing and impressive results. HP printing is backed by 20 years of research and development. Counterfeit cartridges provide no assurances of quality. Proven Reliability: Original HP print cartridges deliver guaranteed performance—no toner/ink leakage and messy prints. HP provides a warranty that ensures trouble-free printing. Award-winning HP Support and Warranty: All Original HP print cartridges are backed by our award-winning support, service, and quality. Use only Original HP print cartridges to receive full HP printer warranty benefits. Cheap toners can cost you more than you bargained for. 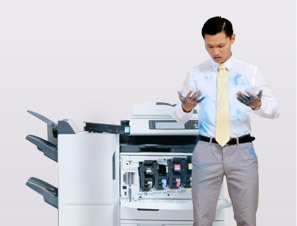 When a cheap toner cartridge malfunctions, your office can end up wasting time and money trying to fix the problem. To avoid streaks, cartridge failures and the extra cost of reprinting, choose Original HP toner.